Hendry County, Florida has the unfortunate distinction of being a center for the breeding of monkeys for use in research and testing. There are more monkey breeding facilities in Hendry County than any other community in the United States. The Mannheimer Foundation operates a large breeding/research facility near LaBelle called Haman Ranch. Bioculture, a company based on the African island of Mauritius, opened a breeding facility in Hendry County in 2014. PreLabs, a Chicago-based company, opened a research facility on the Hendry/Lee county line in 2016. Operating under the name Primera Science Center, the facility may house as many as 3,000 monkeys. 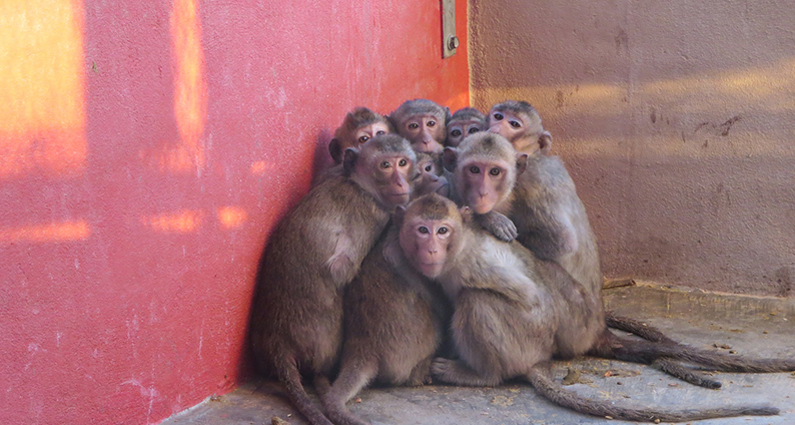 Inside Hendry County’s monkey breeding facilities, thousands of monkeys are imprisoned in concrete and wire enclosures to produce offspring who will suffer and die in laboratories. Many of these wild monkeys arrived in Florida after a treacherous, long-distance trip from countries such as China and Mauritius. The international trade in these intelligent and sensitive animals causes enormous suffering. In addition to concerns for animal welfare, keeping hundreds or thousands of monkeys closely confined may cause groundwater pollution or other environmental problems. Animal escapes is another potential danger. Unfortunately, Hendry County has chosen not to hold public hearings to allow residents the opportunity to learn about and comment on these controversial facilities.